Every year in September, citizens in 50 countries celebrate Europe's cultural heritage. This initiative of the European Heritage Days (les journées européennes du patrimoine) was created in 1984 to put new cultural assets on view and open up historical buildings normally closed to the public. The cultural events highlight local skills and traditions, architecture and works of art, but the broader aim is to bring citizens together in harmony even though there are differences in cultures and languages. Each year, national and regional events are organised around a special theme and these vary in each country. 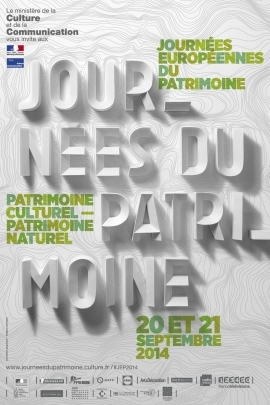 This year in France the theme is "patrimoine culturel, patrimoine naturel" (cultural heritage, natural heritage) and will be held on the weekend of 20th and 21st September 2014. The aim is to show how the two concepts of heritage and environment are closely interwoven. 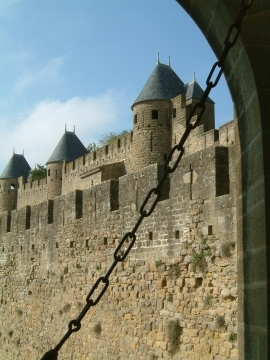 In Languedoc-Roussillon there will be a multitude of events, for the most part free or offered at a reduced price, available in museums, public and private buildings and many places usually closed to the public. Rural, industrial, architectural, archaeological, natural - it is an initiative that is very varied, designed to stimulate curiosity and the discovery of the richness of local history and culture through tours or dramatised visits, conferences, exhibitions and workshops. European Heritage Days is an event for everyone, whatever their background, age and ability. From castles to city halls, tunnels to tower tops, police cells to private homes, workshops to woodland walks, the variety of places and ways to discover them are endless. Buildings of every age, style and function throw open their doors for a once-a-year chance to discover architectural treasures and enjoy a wide range of tours, events and activities. To find a list of events near you, use this link Journees du Patrimoine.